Skin whitening is the process by which people reduce the melanin pigment in the skin to give a whiter complexion. Those with dark complexion have more melanin and the quantity of melanin determines the colour of a person’s skin. Melanin is manufactured by cells called melanocytes. The melanin quantity of person’s skin depends upon the genetic buildup. The production of melanin is affected by exposure to the sun, the degree of damaged skin, and exposure to chemicals. Often people take recourse to skin whitening methods to deal with problems such as freckles, age spots, scars, moles, acne, birthmarks and also by people who wish to have fair skin, especially those with a darker tone of skin. People use whitening or lightening products such as bleaching creams, fading creams, chemical peels and laser treatment. These products work by disturbing the tyrosinase enzyme which is instrumental for the melanin production and thereby reducing its amount in the skin. The melanocyte cells which manufacture melanin are situated at the very bottom of the skin’s epidermal layer. Sometimes the over-production of the melanin pigment could lead to various hyperpigmentation problems. 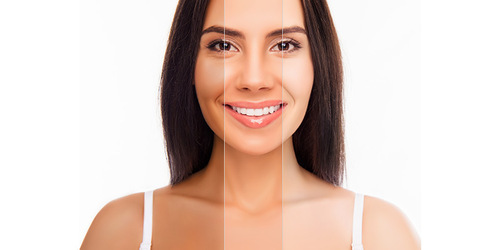 The first step towards a skin whitening procedure would be to schedule an appointment with a dermatologist and tell him/her what kind of skin tone you have in mind. To get a clearer idea across it would be best if you carried a picture with you of the person with the desired skin tone that you have in mind. After discussing with your dermatologist, you may go and talk to the plastic surgeon. You can also show him/her the picture so that he/she knows what it is you exactly want. After consulting with both the dermatologist and plastic surgeon you decide on the option that you want based on your health, requirements and financial position- you can go for a skin bleaching treatment or something as expensive as a surgery. Aside from being extremely expensive skin whitening procedures are also very painful and you need to be prepared for both. 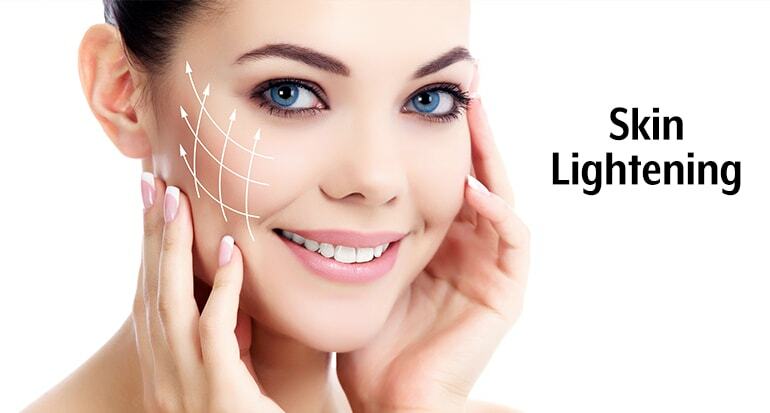 You need to plan out the recovery time after you complete your treatment; laser treatments and chemical peels take a few weeks and permanent skin whitening surgery takes more time. After treatment you need to take care of your skin by using certain maintenance products. Sunscreen is very important to prevent you from getting sunburns and also lower chances of your skin getting darker. Everyone is eligible for a skin whitening treatment. People having a history of heart-related disorders, recurring fever or cold sores and a tendency to scar should avoid undergoing chemical peel treatment for skin whitening. Those with really dark skin are not recommended for deep chemical peel treatment as well. If you are undergoing laser whitening treatment you can expect to experience the following side effects such as bruising, skin dryness, sensitivity to sunlight, tightness, swelling, scarring, skin infections, skin texture difference, pigmentation, skin redness and irritation. Deep chemical peel treatments can cause permanent damage such as hyperpigmentation (skin darkening) or hypopigmentation (skin lightening). if you undergo very aggressive treatments to whiten your skin it may become raw and ooze forming crusts all over. The post-treatment guidelines for skin whitening treatment include washing the concerned area with chemical free soaps and dabbing very gently. For your full recovery it is advised that you make use of certain maintenance products such as regularly apply aloe vera gel or petroleum jelly to give a soothing and cooling effect. A layer of scabs and crusts may form on the treated area so it is advised that you do not touch or pick these areas. Take painkillers to reduce swelling. Apply sun screen for at least a period of six months to prevent darkening or sunburn because the skin at this stage becomes extremely sensitive. The time to recover depends on the type of treatment you undergo for skin whitening. If you go for non-ablative treatment methods then it may take only a day or two to recover. But if you go for surgery such as a laser one then it may take up to 2-3 weeks to recover, following which you will need to adhere to certain post-treatment guidelines to prevent darkening, irritation or sunburn.